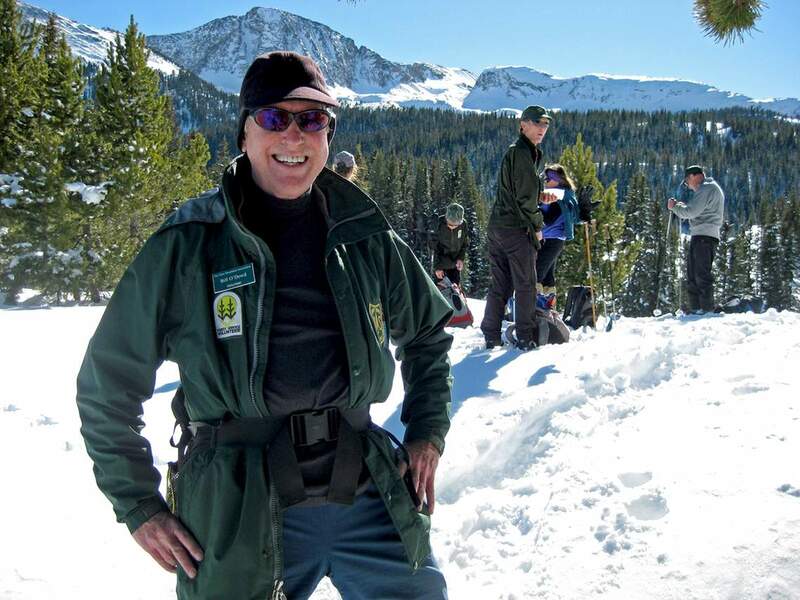 Bill ODowd and a group of San Juan Mountains Association winter recreation volunteers stop to adjust gear on a snowshoe outing at Andrews Lake. Changing the combination of the three basic layers enables you to regulate body heat. As the winter weather slowly descends on Southwest Colorado, it leaves more time to gear up for the snow and dropping temperatures. While many people have garages full of sports equipment, its the basic clothing that keeps you comfortable and safe for all outdoor activities. Outdoor clothing is a multimillion-dollar industry, but assembling your personal winter outdoor wardrobe doesnt have to break the bank. A little knowledge of how winter clothing works can go a long way toward finding what you have and what you need to be warm, dry and safe this winter. Warmth  Remember that clothing is not warm, your body is warm. Clothing is just a way to regulate your bodys temperature within the small range that it functions. Be versatile and diligent in keeping your bodys temperature from getting too cold or too warm during activity. It is much easier and safer to regulate than to recover. Cotton kills  Despite the cliché, cotton really is the worst fabric to wear for outdoor activity in winter weather. It gets wet, stays wet and can keep you dangerously cold in a short period of time. If youre going to be active outside in the cold or wet, dont wear it at all. This goes for everything  base layers, socks, gloves, hat, jacket, everything. Layer up  There are three basic layers to a cold-weather clothing system: base layer, insulation and shell. These can be used in any combination depending on the conditions and level of exertion. It always is handy to have all three layers available on an outdoor excursion in order to better deal with changing conditions and levels of exercise. Base layer  Consider this not only long underwear but also socks, hat and gloves. Anything that goes against your skin should be a quick-drying synthetic or wool. Insulation  This is the most variable layer. It can be left off if its warm or you are working harder, or it can big and bulky if it is below zero and you are not very active. It also can be multiple layers to increase versatility. Synthetic fleece or down are great, lightweight insulation layers. In general, bulk equals warmth. So a wool shirt holds warm, a fleece jacket warmer and a down coat warmest. The insulation layer usually is the layer that is added or subtracted during the course of an activity. Put it on as you are getting ready at the trailhead, and take it off 15 minutes up the trail after your body has warmed up. Carry a small pack that can hold this layer, plus your hat and glove insulation. It is rare to swap leg and foot layers unless you are going to be out all day or overnight. It is important to note that the base and shell layers are designed for ventilation and moisture control, but the insulation layer generally is not. Dont let your insulation get wet or sweaty. If it is raining or snowing, cover it. If you are sweating, take it off or ventilate your shell. Consider your insulation layer to be your emergency heat trap. Make sure it doesnt get compromised. Shell  Your outermost layer (hood, jacket, gloves, pants, boots) is your protection from the elements. It should keep the snow, wind and rain completely away from your other layers without holding moisture from the inside. To do this, the shell layer should vent, breathe or work as a vapor barrier. It is important to know how your shell works best before venturing into a difficult situation. All of this information leads to the next step in the gearing-up process: gear testing. This is, of course, the fun part, where you go outside into the weather and see how your different systems, combinations and features work. Start small, maybe just a walk around the block or chopping wood, but pay careful attention to how your particular pieces of clothing work together. If you have questions, check the Internet or, better yet, ask a professional at a local outdoor store. Then go outside and test some more. Mark Winkworth works in visitor services for San Juan Mountains Association. SJMA is a nonprofit dedicated to public land stewardship and education.